First things first – what should Creative Woodworking focus on this year? More galleries? More events? More online? Well, the answer is yes, yes, and yes. Our 1st event of the year is right around the corner, and luckily for us, it’s close by. 2/11/17 @ The Climb Fitness Center, Mt. Ascutney Resort, Brownsville, VT. If you are in the area, or can be, please join us. Coming into the New Year, we have 6 galleries to visit and stock up. Today (for example), we were able to visit Long River Gallery & Gifts. They have a new, 2nd location in White River Jct., VT and it is a bright beautiful space. On Main Street, next to the Hotel Coolidge. Are you familiar with Long River Gallery & Gifts? If not, take a look here → A Visit To Long River Gallery & Gifts. Whether you visit Lyme, NH or WRJ, VT, you’ll be thrilled with the selections. Heck, visit both! Is your word stronger than oak? Matt Cushman’s isn’t! Ok, enough about that … back on topic. We see oak chosen quite often in cabinetry and furniture projects. It’s heavy (visually and literally), great for flooring also. 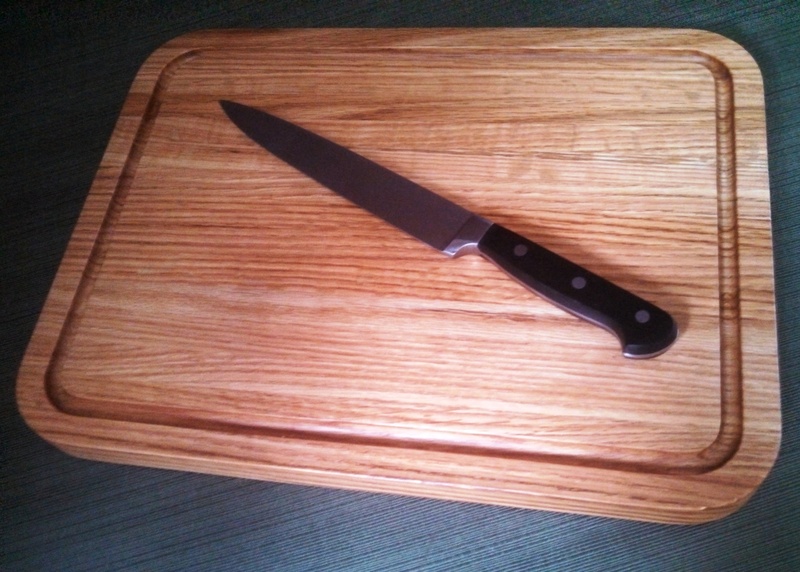 Our cutting board designs have been a hit in oak – which I wasn’t sure about – until I saw the first one.